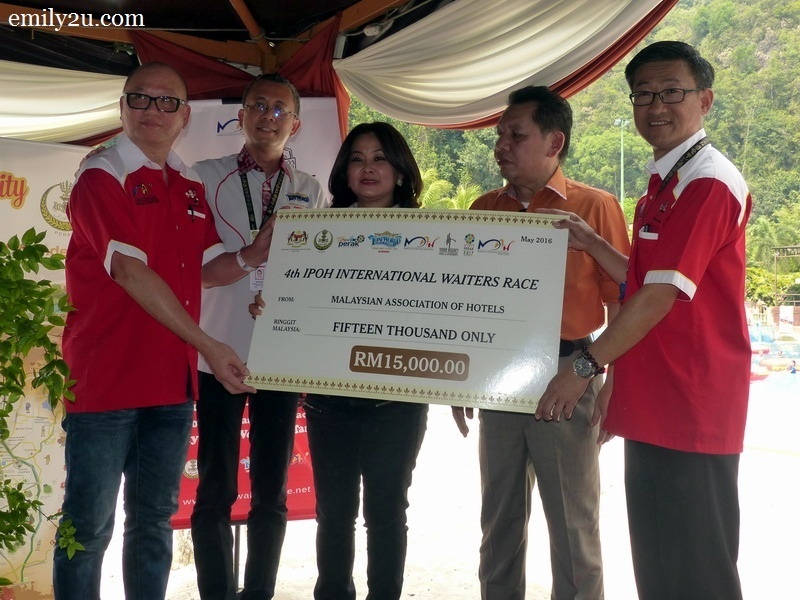 With the competition finally included in the state’s Calendar of Events, the committee of the 4th IPOH International Waiters Race is confident that it will draw 450 participants not only within Malaysia but internationally. 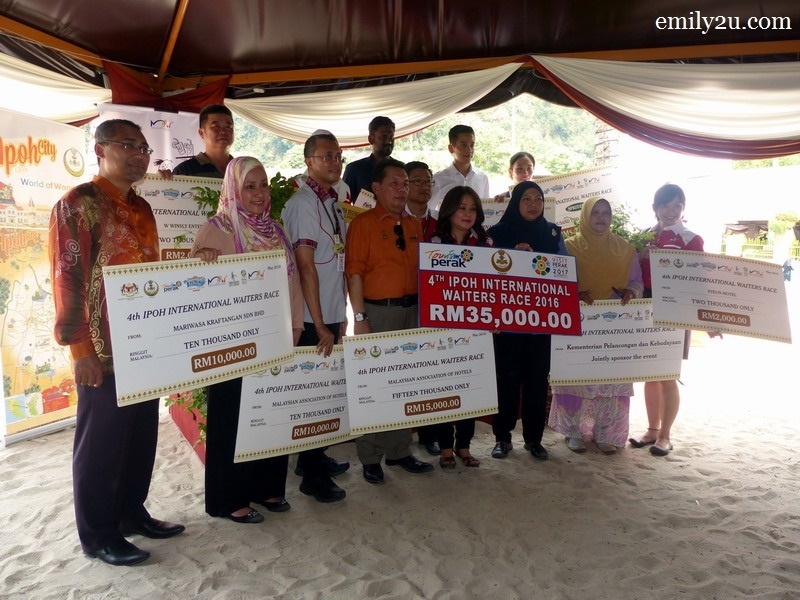 In view of the Malaysian Association of Hotels (MAH) President Sam Cheah is also President of ASEAN Hotel and Restaurant Association (AHRA) during the term of 2015 – 2017, the committee hopes to attract at least four participants from each ASEAN country. 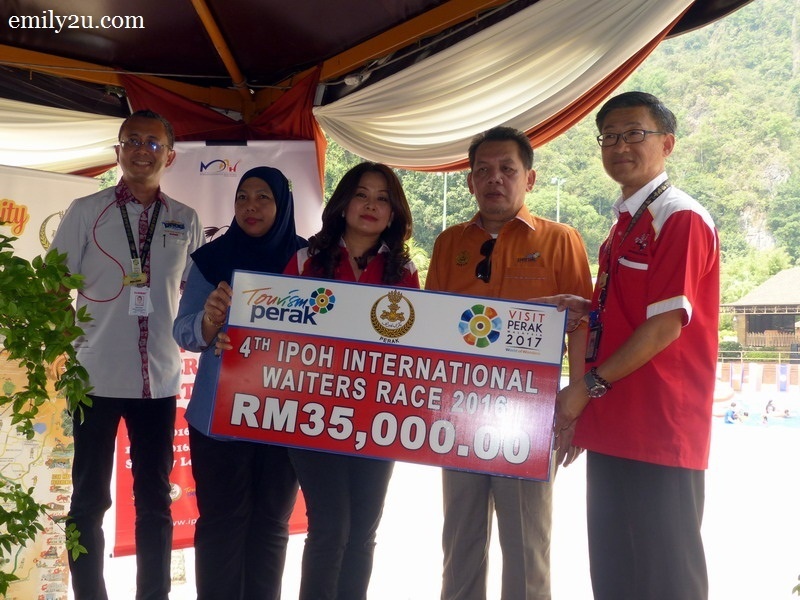 While the previous three editions of IPOH International Waiters Race were a 2-day/1-night affair, this year’s race is more enthusiastic as it will be 3-day/2-night instead. 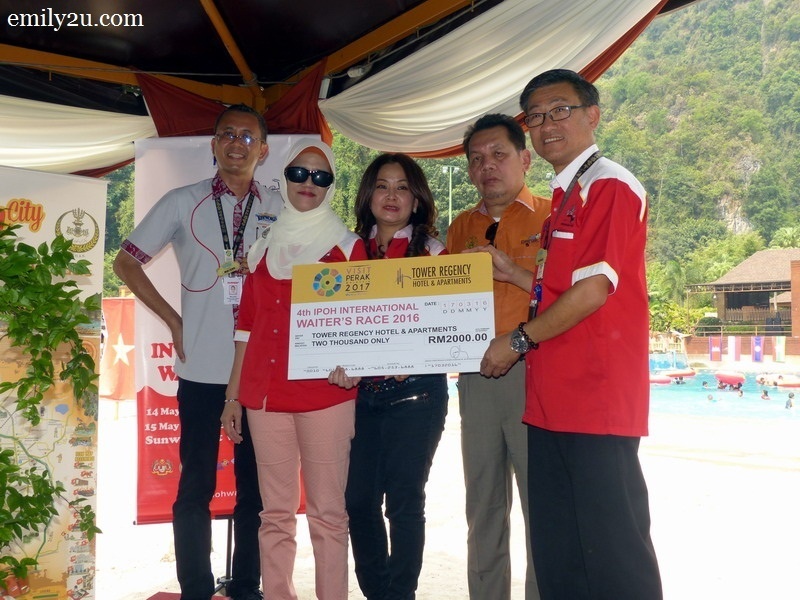 To be held for the second consecutive year at the Lost World of Tambun on 15th May, 2016, there will be two race categories: Classic Tray and Sportive Tray. Classic Tray is open to individual professionals working in hotels. Competitors are to dress in their own establishment uniform. Meanwhile, Sportive Tray is open to quick service waiters, students in hospitality colleges and the public. Sports shoes are allowed for this category. 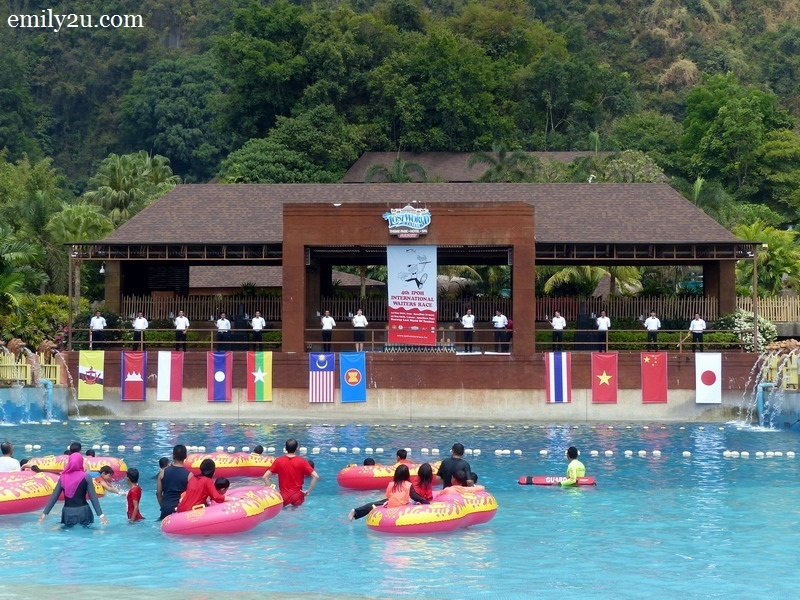 Although the Lost World of Tambun is hosting the event for the second year, this time around will be a new course. Over a distance of 1.3 kilometres, participants can expect to be faced with numerous challenges, including walking up stairs and across undulating ground. 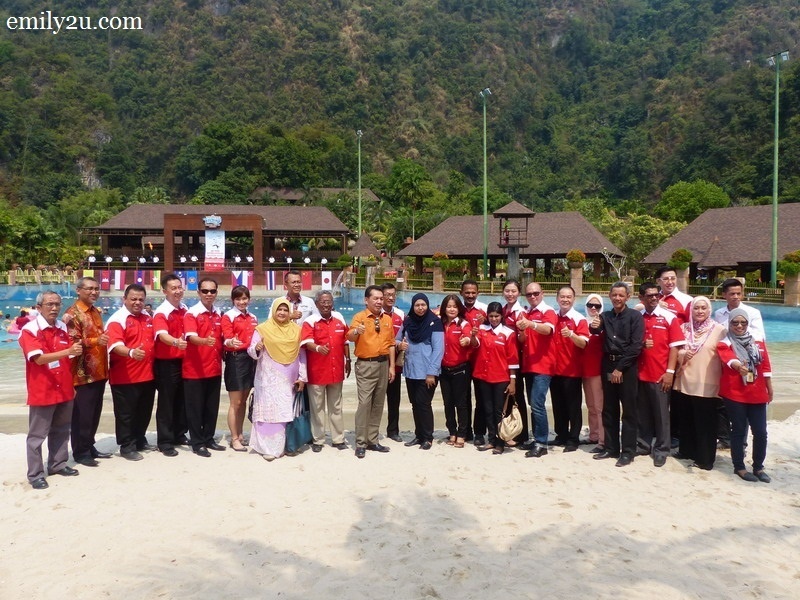 A day earlier on 14th May, 2016, interesting side events will also be held at the same venue of the Lost World of Tambun. Open to individual professionals working in hotels registered under the Malaysian Association of Hotels (MAH). Entry fee is RM50. Open to individual professionals working in hotels. Entry fee is RM50 (MAH member) or RM100 (non-member). 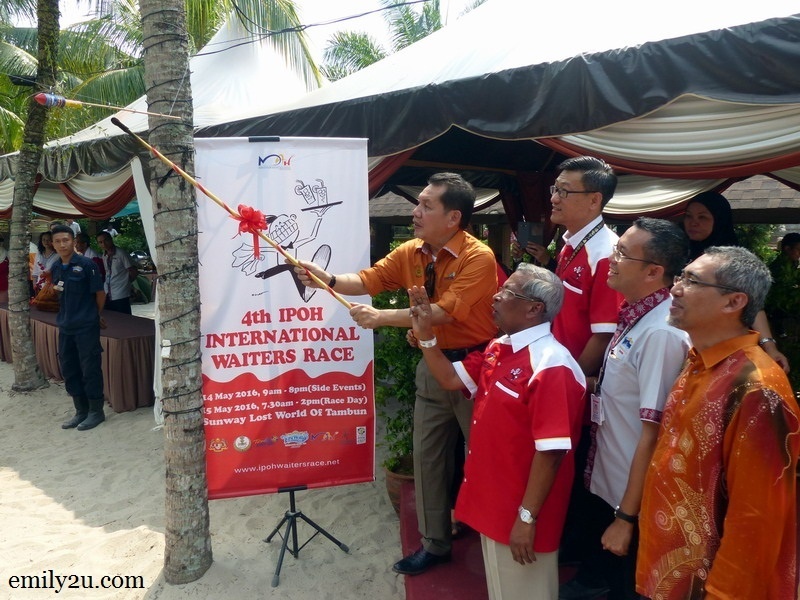 As you can see, this waiters race is not only open to waiters per se, as members of the public are also welcome to join in the fun. 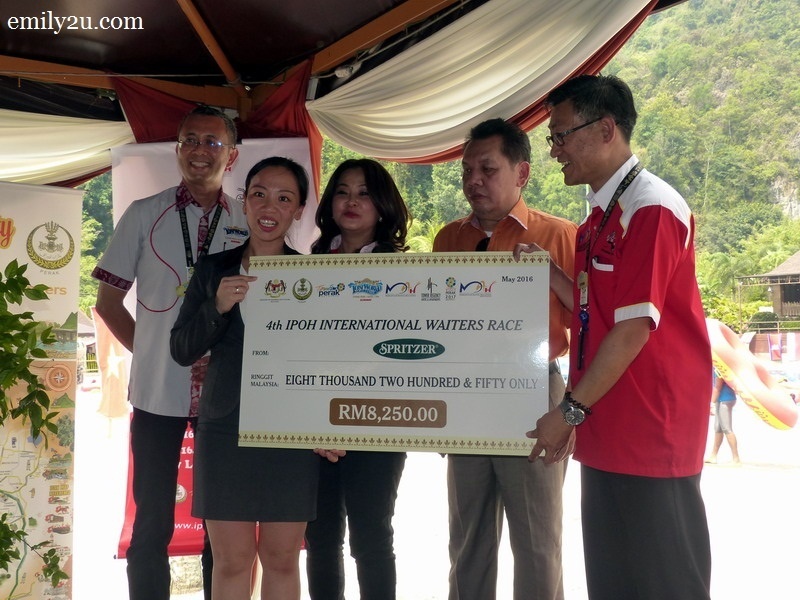 Entry forms will be made available at www.ipohwaitersrace.net or contact any hotel that is registered under the Malaysian Association of Hotels (most hotels are). 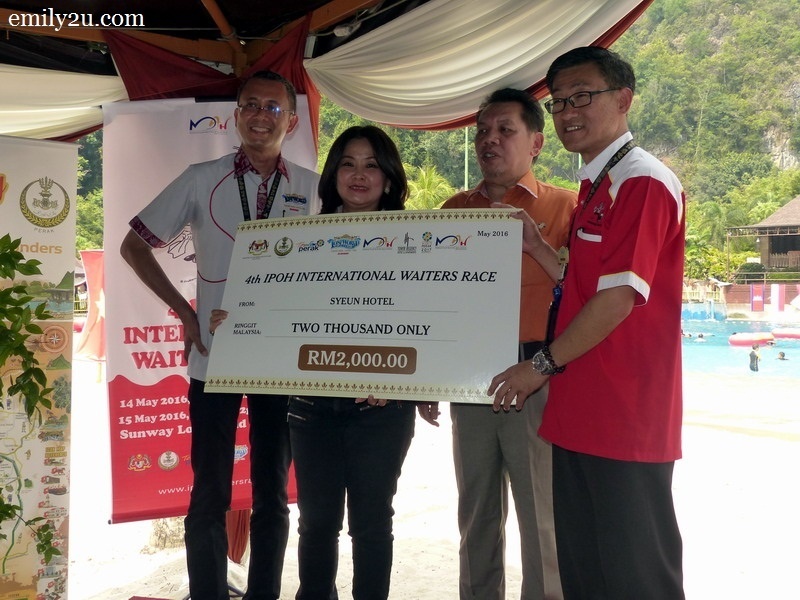 7 Responses for "Launch of 4th IPOH International Waiters Race"
Good shot, well organized and very good write up. Thank you very much Emily. 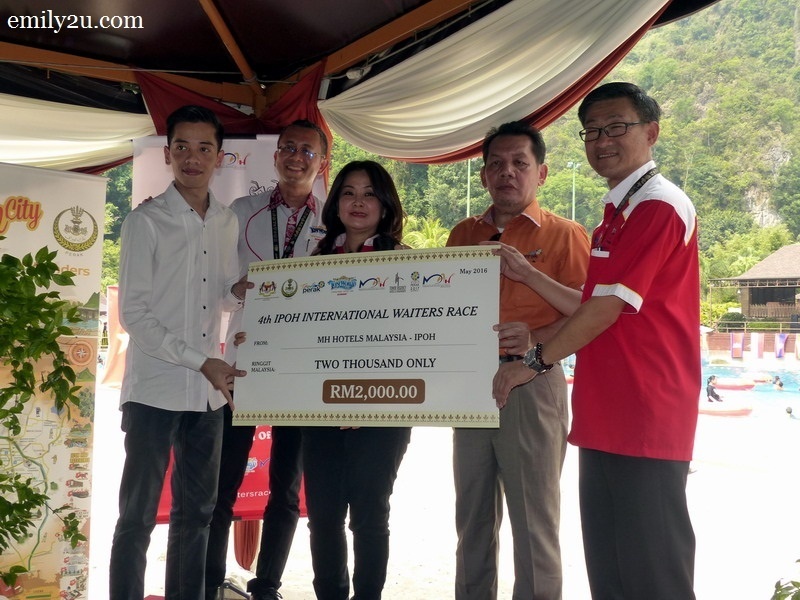 not sure why they organized this kinda race but there is something new for sure.